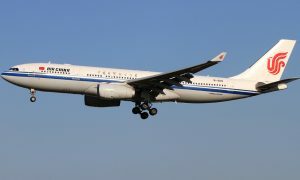 The 50th A330 to be operated by Air China, which is also China’s first A330-300 with the increased 242 tonne maximum take-off-weight (MTOW) capability, has successfully completed its maiden flight in Toulouse, France. Displaying a special livery to celebrate the “50th A330 for Air China”, the aircraft will be delivered to the Chinese carrier in September. 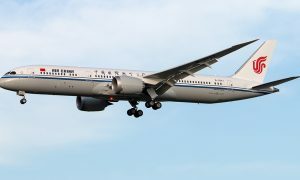 Air China is the flag carrier of China, one of the world’s most dynamic aviation markets. 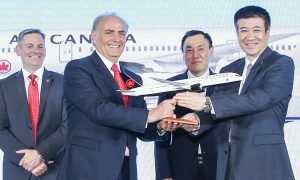 Air China introduced its first A330 in 2006 and since then has become Air China’s benchmark widebody aircraft, supporting its tremendous growth both on domestic and international routes. Air China operates a fleet of 169 Airbus aircraft, comprising 120 A320 Family and 49 A330 Family aircraft. The A330 with the higher, 242 tonne MTOW is the platform for the future A330neo, and is a concrete example of Airbus’ incremental innovation strategy. Thanks to latest engine improvements, and an aerodynamic package reducing aircraft drag, the A330 with 242 tonne MTOW offers an extended range of up to 500 nautical miles and up to two percent reduced fuel consumption. The 242 tonne A330 is capable of missions from 30 min to 15 hours.